Did your parents tell you you were bad or worthless? Were you often frightened of your parents? 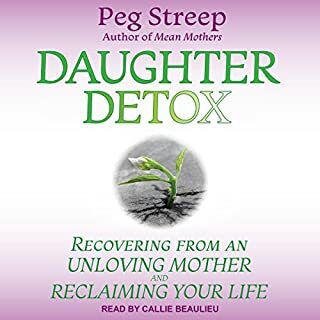 Where does Toxic Parents rank among all the audiobooks you’ve listened to so far? My whole life I have been the crazy/unappreciative/ungrateful/wrong/worthless/homely/fat one according to my Mom. Thanks for helping me see thats not the case. 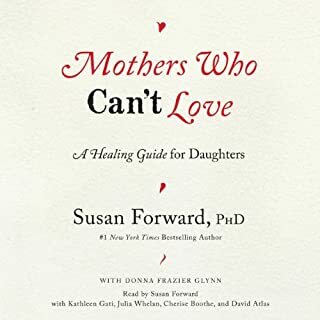 I read this book thinking about my parents who were clearly toxic but dare I say they were so toxic this book wasn't helpful. 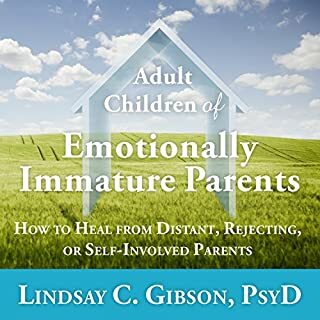 I think this book would be most helpful for individuals who have living parents that have personality disorders, but are still somewhat functional. 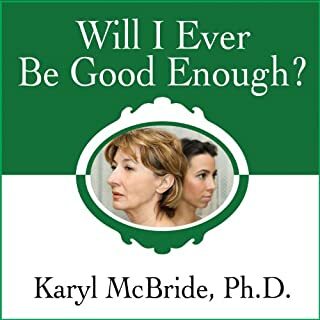 Those with deceased parents or those with so severely limited parents that there is no hope of them understanding or approving of you, may not gain much from this book. While I critize this book for not being able to help me personally in relationship to my own parents. I did gain a lot of insight from this book in respect to other individuals that I know again with personality disorders. Their behaviors I didn't fully accept/understand and I think I do following this book. Furthermore this book's section on getting in touch with your anger made me realise that I have been surpressing some anger I literally had no idea was still there. So my thoughts are that this book is amazing. I didn't get what I had hoped from it, but it did provide meaningful insight. If you come from a disfunctional home or know people closely who came from a disfuctional home I highly recommend this book. I just think you should give yourself the time and space to read it. I'm not a wide reader; especially not a self help book enthusiast. But once I got past the extreme title (it took a while), my emotions eased into this book like it's a cup of perfectly warmed up milk comforting me at age 8. It helped me validate my suspicions that I wasn't in a healthy relationship with my loving and overly protective parent. It helped me identify that the brand of love I've received has not all been for my better good. It has freed me to see that it's ok to form my opinion about all this despite how other unknowing people around us would tend to dispute my analysis. In time, I hope to have a truly loving and healthy relationship before it's too late. I never thought of my parents as toxic. I thought they had the right to tease me and punish me physically as a child and to manipulate and control me as an adult because they were my parents. Consequently, I have been depressed most of my life . I am so thankful to have heard this book. The stories with dialogue from Susan and her clients made the book fascinating to read. The voice actor did an excellent job too. It will be a good companion to the therapy that I am in now. I can finally heal and work towards being an independent whole adult. Forward covers a lot of ground here and gives a lot of practical advice. I wish Toxic In-Laws and Emotional Blackmail were also available on audio. I do feel, personally, that Forward was a bit soft in her relative lack of encouragement for "divorcing" toxic parents. I mean, if you can go so far as to call someone TOXIC, the implication is that even a small dose of them is detrimental to one's wellness. 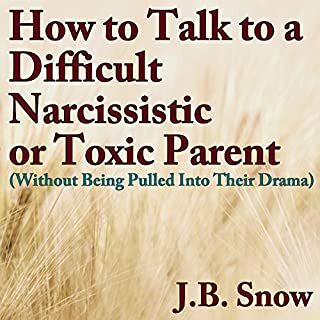 Also, any person who was raised by toxic parents has been systematically trained from day one of life to be a victim, so staying in relationship with said toxic parent(s) seems like an uphill battle of epic proportions--a lose/lose situation. 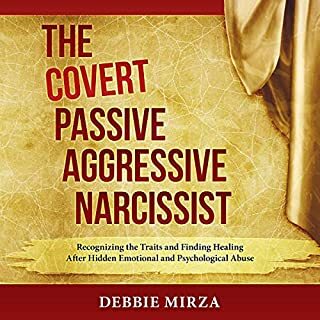 I realize that many people hearing/reading this book are dealing with abusive parents who are not necessarily TOXIC, but the title states what the book is supposed to be about. It was a good listen and definitely helped. I will have to listen again to all the exercises. I would recommend this to anyone who wants to understand abusive parents and how to improve situations. my mother continues to destroy me from the inside out. this book has helped me qain control of my own life and stop the insanity. 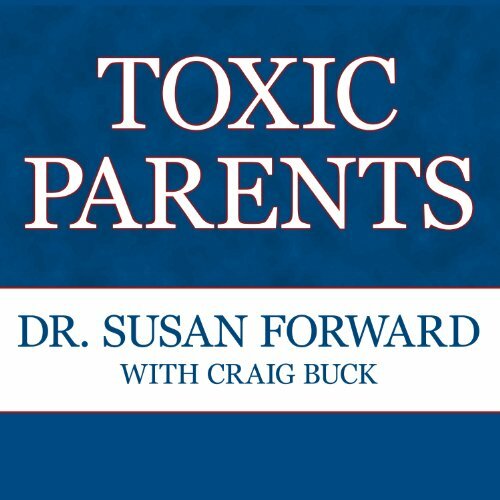 Would you listen to Toxic Parents again? Why? Absolutely, it's not written to go over someone's head in ridiculous therapist lingo. It does feel like you're in a prolonged session with Susan. What three words best describe Jo Anna Perrin’s voice? More of a TV journalist/anchor than a book reader. I liked it but I did not like when she adjusted it lower and lower with every representation of another character. What insight do you think you’ll apply from Toxic Parents? That it is vital to recognize your own behavior and break the cycle as soon as possible in order to avoid pain for future generations. Very well written, something to re-listen to now and again. I will be purchasing an actual copy though to have around the house to pick up and read as well. Yes this book was so helpful to me I would listen a thousand times, I constantly refer to it for motivatiom and as a reference guide. What does Jo Anna Perrin bring to the story that you wouldn’t experience if you just read the book?